at St. Elizabeth's Health Care Center. 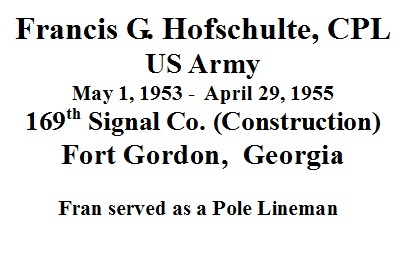 He was born Dec. 19, 1930, in Mazeppa, to George and Leona (Fuhrman) Hofschulte. He grew up in Mazeppa. Francis married Darlene Streich on June 2, 1962, in Mazeppa. The couple lived there and later moved to Zumbrota where he worked at the lumberyard. They moved to Lake City where he began his career with UBC Lumber Yard, later moving to Trimont, Postville, Iowa, and back to Lake City. He retired in 1995. 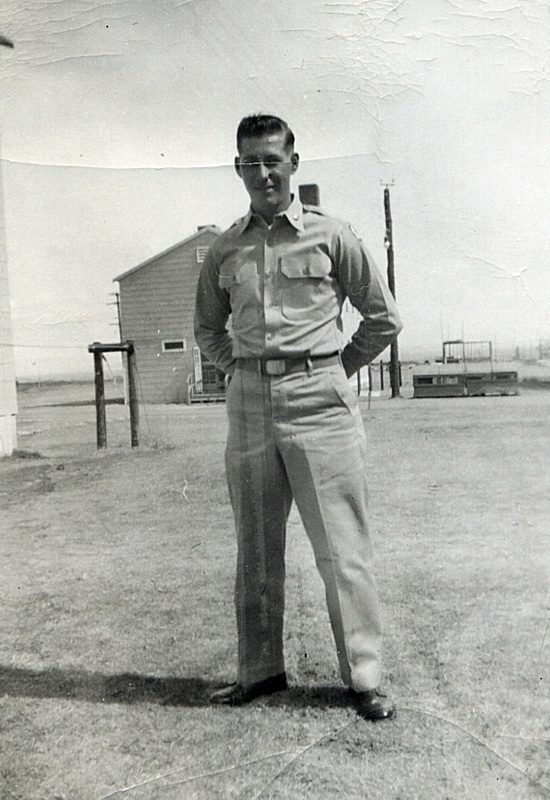 Francis was a member of the American Legion Post #588 in Mazeppa, where he served as commander in 1961. He was a fun loving guy who enjoyed woodworking and always had a smile on his face. He is survived by his significant other, Joan Paul, of Blooming Prairie; sons, Jeffrey (Lisa), of Lake City and Daniel (Sandy), of Lansing, Iowa; grandchildren, Nicole (Adam Halvorson), Sabina Guyer, Lindsey Blum, Ryan, Meghan (Kyle) and Nathan Frye, and David, Jonathan and Jessica Hofschulte; great-grandchildren, Hunter, Caleb, Ella, Kamryn and Ashlyn; brothers, Howard (Judy), of Mazeppa, Leonard (Gloria), of Lake City; sisters, Doreen (Hank) Pahl, of Mazeppa, Marcy Burt, of Oronoco, Rita (Myron) Zimmermann, of Zumbrota, Irene (Walt) Schultz, of Rochester; and numerous nieces and nephews. He was preceded in death by his wife, Darlene; parents, George and Leona; and brother, Donald Hofschulte. Funeral Mass will be held at 10:30 a.m. Friday, Feb. 22, at Ss. Peter & Paul Catholic Church in Mazeppa, with Father Joseph Fogal officiating. Burial will take place at Ss. Peter & Paul Catholic Church Cemetery, with Military Honors by Mazeppa Veterans Honor Guard. Visitation will be from 4 p.m. to 7 p.m. Thursday, Feb. 21, at the Mahn Family Funeral Home, Anderson-Peterson Chapel in Lake City, and one hour prior to the services at church on Friday.